Mary, Mary, quite Contrary how does your garden grow? 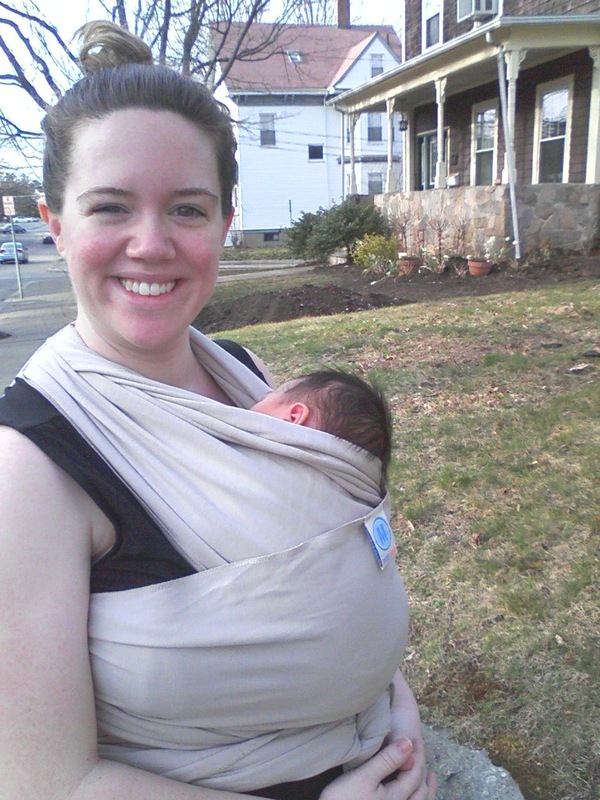 It’s time for a gardening wrap-up! 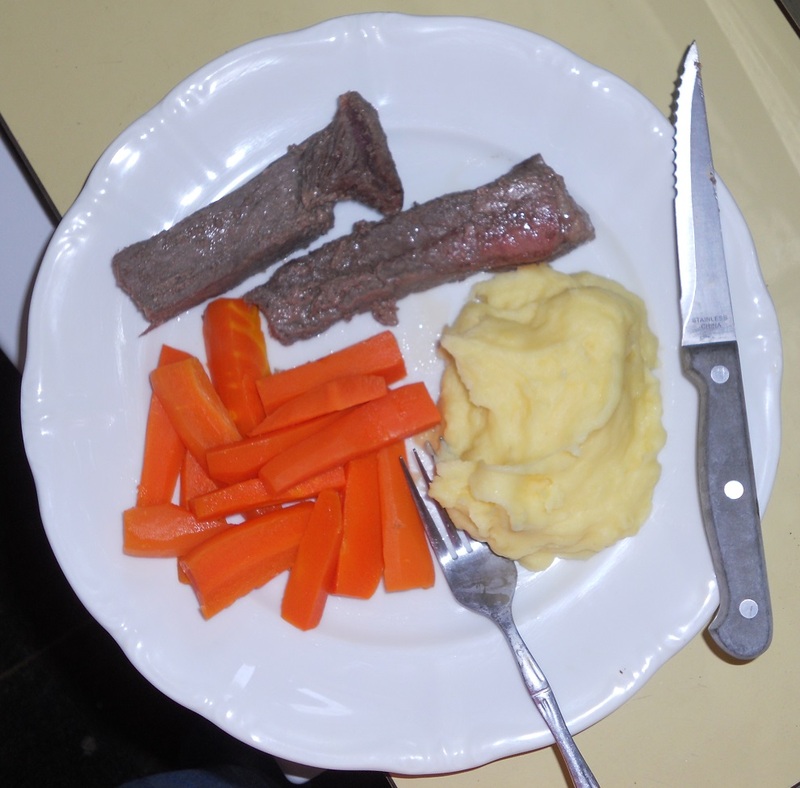 Is anything on your dinner plate home-grown? The carrots and potatoes shown were harvested this week. Mmmm yum. We grew carrots, onions and garlic in the front flowerbed. Carrots pretty much took over the world. They bullied the garlic out of getting enough sunlight so those heads are marble-sized. Otherwise, the onions held their own and are relaxing in our crisper. We have a LOT of juicy sweet carrots. I got to bring some to my quilting friends last night at mini-group! The backyard had pumpkin plants that died, watermelon that thrived, potatoes in tire planters where we couldn’t tell if they were making tubers or not, and corn that was quite popular with the wildlife. 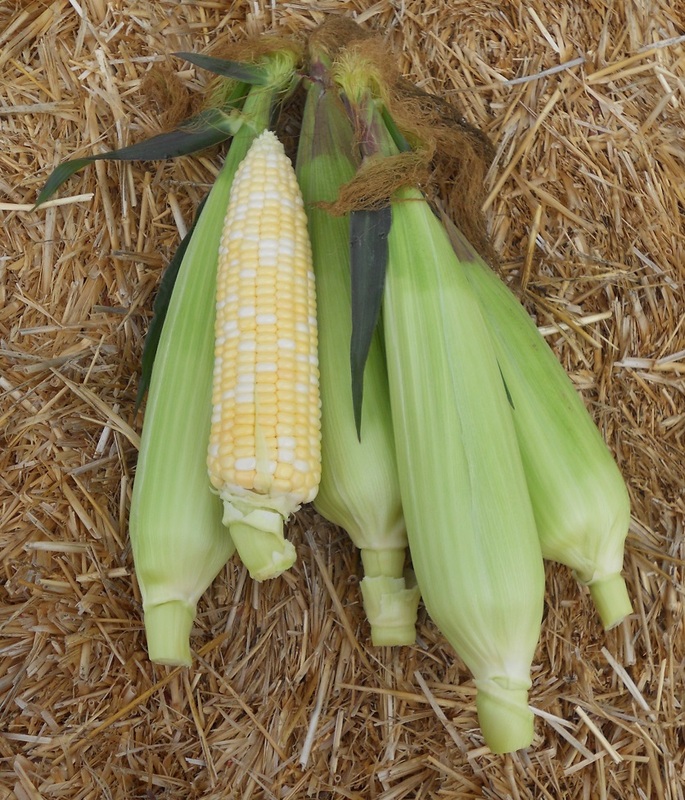 You can see some of the troubles we had with the corn in this post. Some of the plants recovered and we put more seeds to ground. The corn was delicious, especially fresh from the field straight to the pot. Unfortunately, we lost over half the ears to birds. Apparently, everybody likes corn. Now I can tell you about THE POTATOES!!!!!!! We harvested the potatoes on Wednesday from the tires. Remember the tire planters? I was scared that we wouldn’t find any tubers. The plants have been growing fine all summer out of the top of the tires but that wasn’t any indication that underground things were okie-dokie. 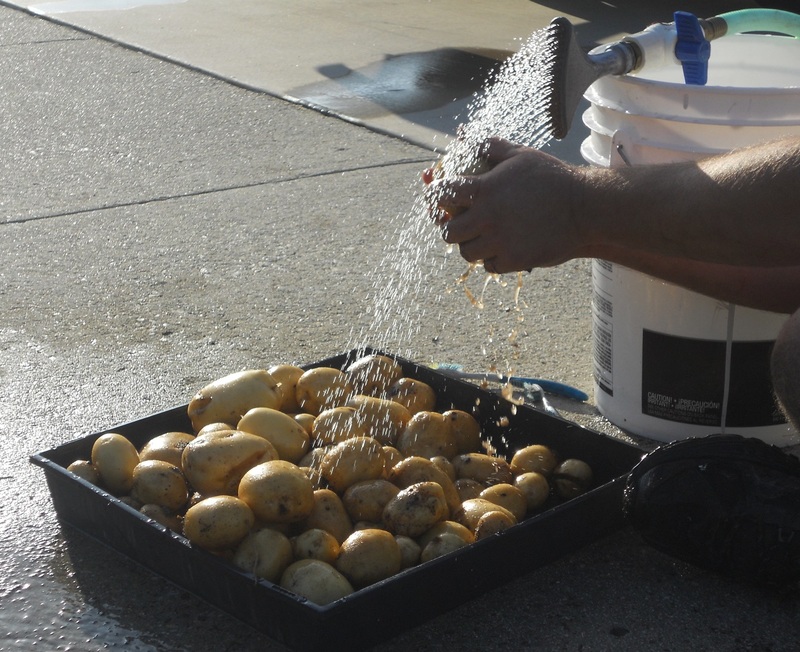 I was so excited to dig potatoes out of the dirt that I didn’t get any photos of that process. A video probably would’ve been more appropriate anyway because my husband was giggling at me exclaiming “tatohhhhs” every time I found another grouping. 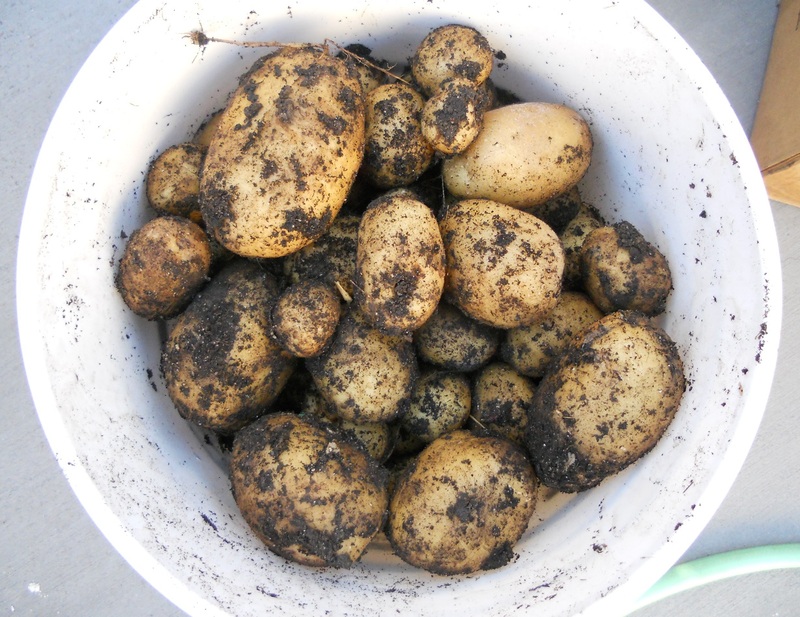 These yukon gold potatoes are the BEST for mashed potatoes. Once they were all harvested and washed, the lot weighed in at 23 lbs. 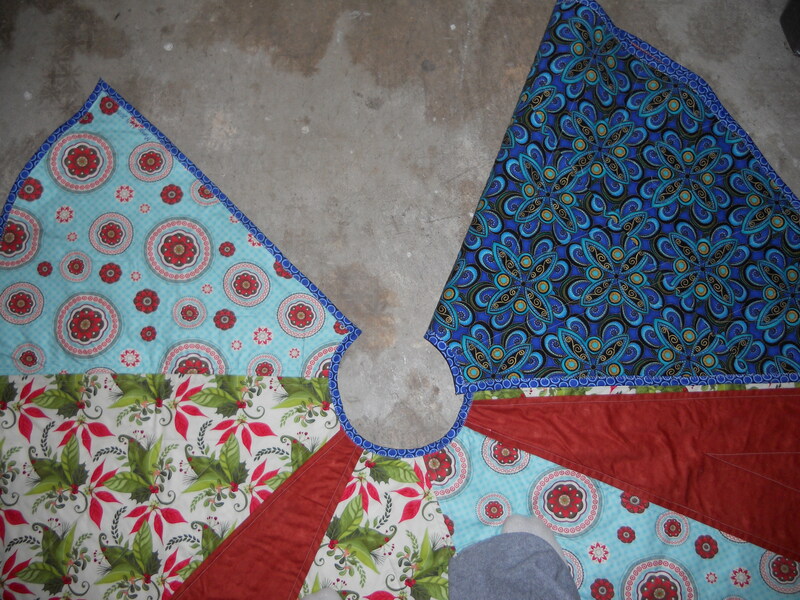 I’m thinking about next year’s garden as I sew the binding on this round robin quilt. Tomatoes are in order. I’d like to start some asparagus plants too, though they can’t be touched for three years until established. My husband and I have also been talking about sowing some cold-weather crops, since the winter is so mild here. Broccoli and peas are on that list. I think we’re hooked on gardening! 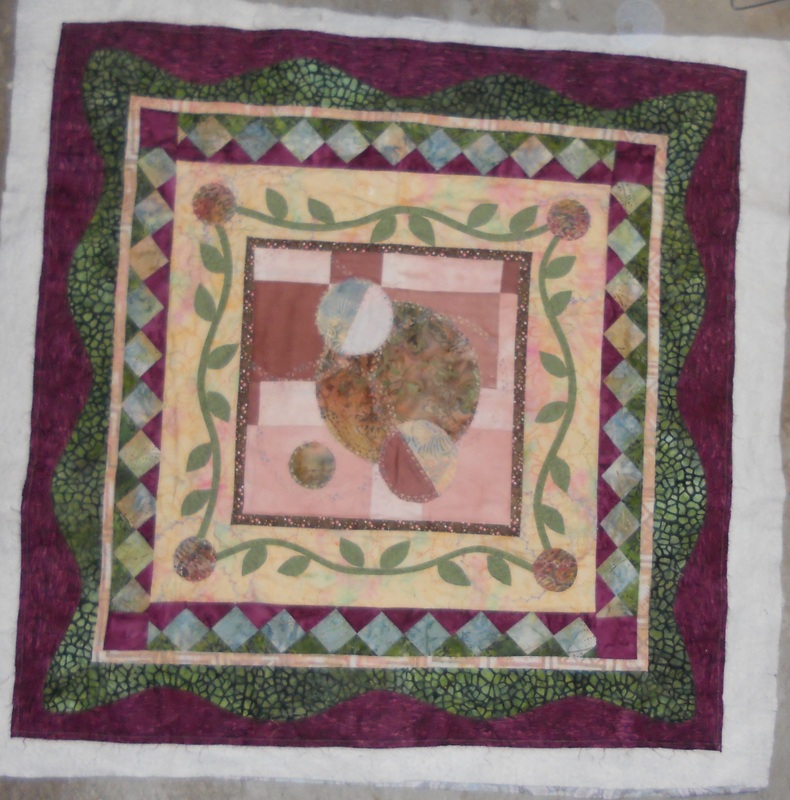 This entry was posted in Artist's Studio, Binding, Our House and tagged backyard garden, carrots, corn, farm, garden, gardening, garlic, harvest, kitchen garden, onions, potato, Potatoes, round robin quilt, yukon gold potatoes on September 5, 2014 by quiltartbymegan. Every project has its own unique story. For example, I just finished this custom ordered tree skirt for my Aunt. I chose some modern fabrics and ran them by her to make sure she didn’t want something more traditional…. and then, as I sometimes do… I stole them. 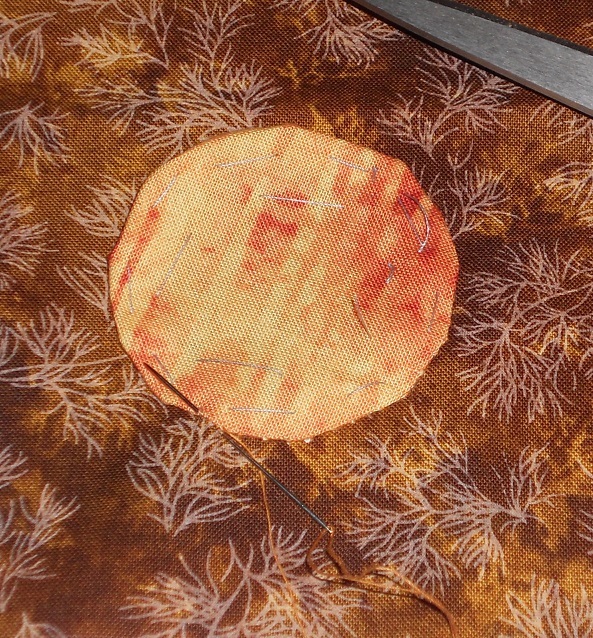 More accurately, I used a LOT of the rusty red fabric in another project. 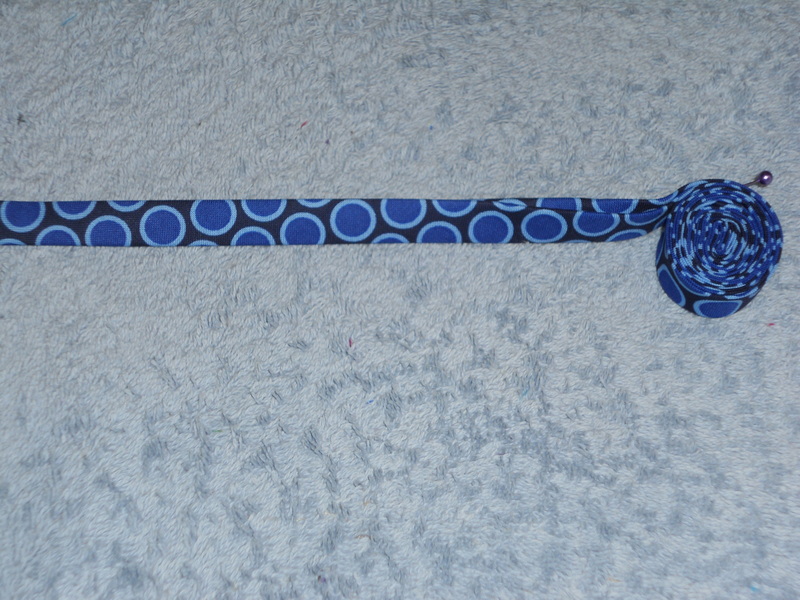 I had it right there in my stash just waiting to be used… but it was waiting to be used for this project. Oops. Well, that’s where creativity comes in. I had planned to make this tree skirt out of alternating print and red in 8 equal sections. Instead, I cut up the red that remained into four 1/16th wedges. I still wanted the main print to have 4 large sections. So that left room for two more 8ths which I pulled from another beautiful print. Putting them together, I inserted the red where I thought the patterns needed some rest. Guess what? That means it’s not symmetrical. And, I think it’s more modern and beautiful in its imperfection that it would have been if everything went according to plan. 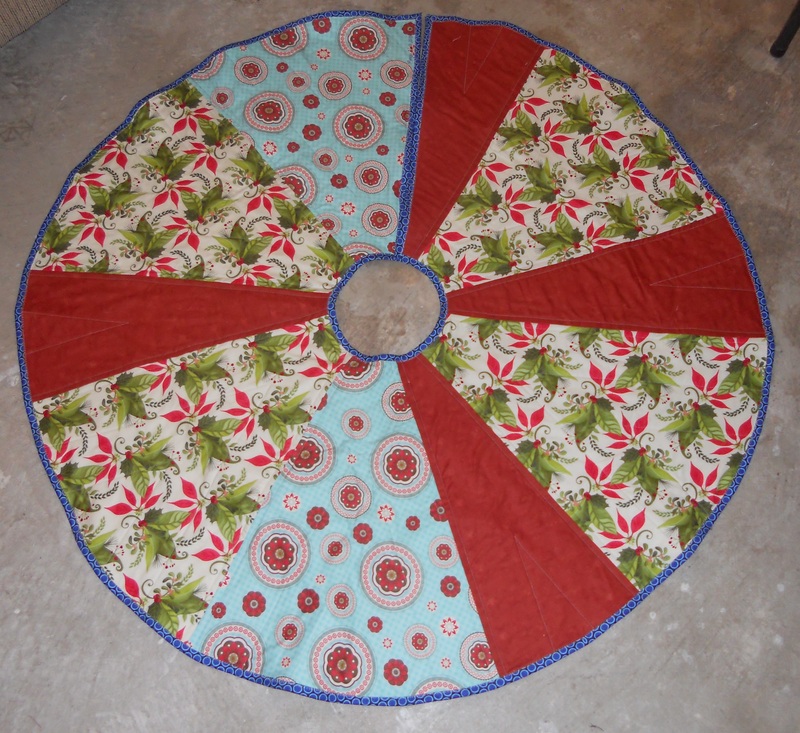 I constructed and quilted this tree skirt and then put binding around the raw edges. 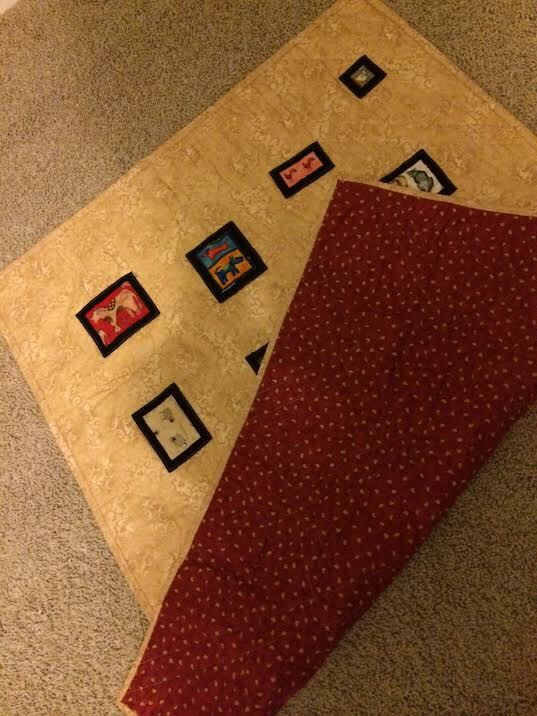 Of course, the plan was to use the red print as the binding too… which would bring it all together nicely. Yeah, I don’t have nearly enough red print left to make binding. Another design opportunity. I’m creative; I can figure this out! Time to audition fabrics. I saw that the yellow would work nicely… and decided to go bold with the blue circles. Bold is good. It’s scary and could make the whole project wonderful. 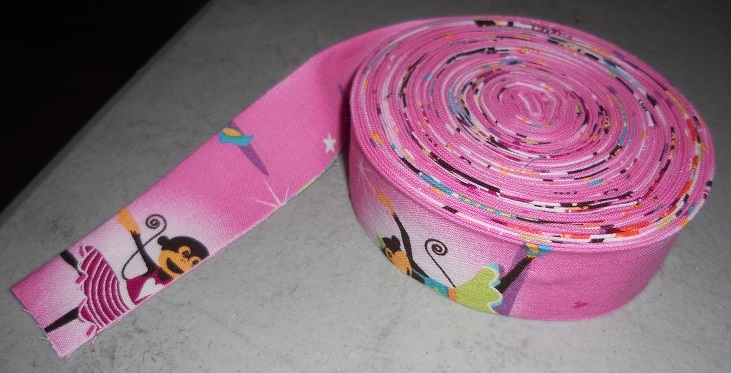 Once it was sewn on, I decided it was waaaay cooler than the yellow ever could have been. Adds some sass and whimsy. The backing? Yeah. That was going to be the red, too. (But that other project really needed it, honest! 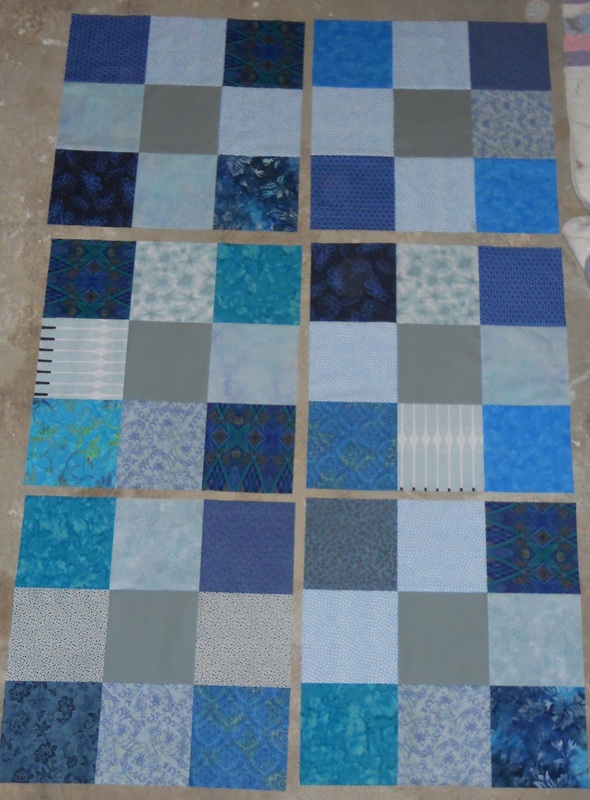 When I can I’ll show you the quilt I’m talking about. No other fabric would have done the job as well.) 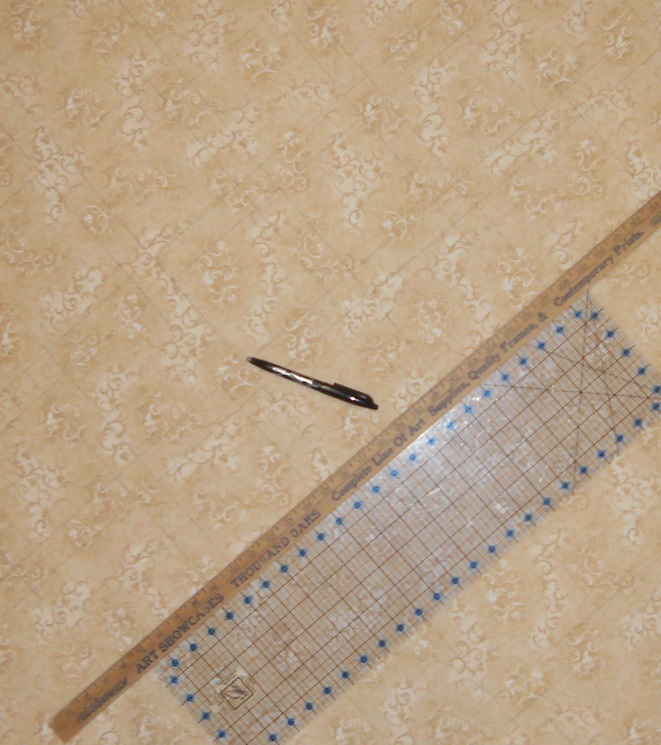 I often piece backings for my quilts, but I wanted this tree skirt to have the option of being double-sided… which called for a one-fabric back. So I pawed through my stash, hoping to find something large enough that would compliment the front. Turns out that the Asian fabric that I bought over a year ago because it was just so beautiful that I had to have it was just waiting to be used in this particular project. It’s the deep blue print in the photo below. So here she is in all of her glory. It’s been a great ride. I’ve stretched myself and made something I’m proud of. I hope my aunt loves this skirt as much as I do. Now to throw her in the wash and send her off to New England. Safe travels, my friend. I really do love you. * It’s not too late to get your custom tree skirt order in for this year. This entry was posted in Artist's Studio, Binding, Inspiration, Quilting the Quilt and tagged aunt, backing fabric, choosing binding, choosing fabrics, Christmas, creativity, design opportunity, Family, intentional design element, problem-solving, quilt, quilting, tree skirt, wonky on October 29, 2013 by quiltartbymegan. 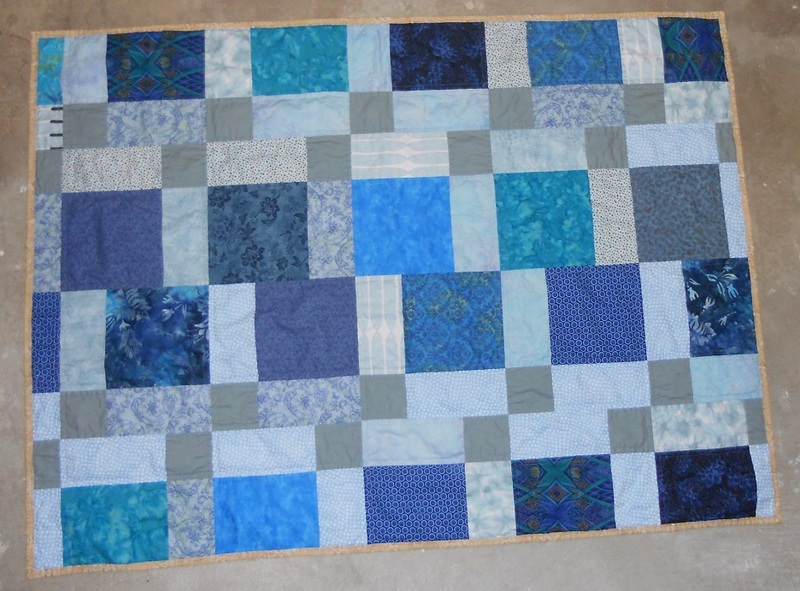 Creativity is allowed when you bind your quilt, too. 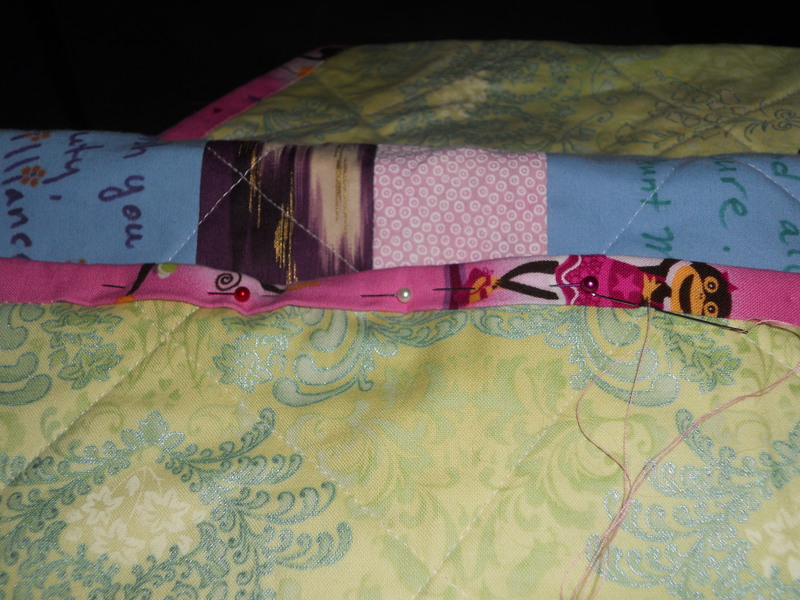 Baby Mary’s quilt is getting a pretty pink binding around the light green border… but it isn’t a solid pink. There are monkeys involved here. 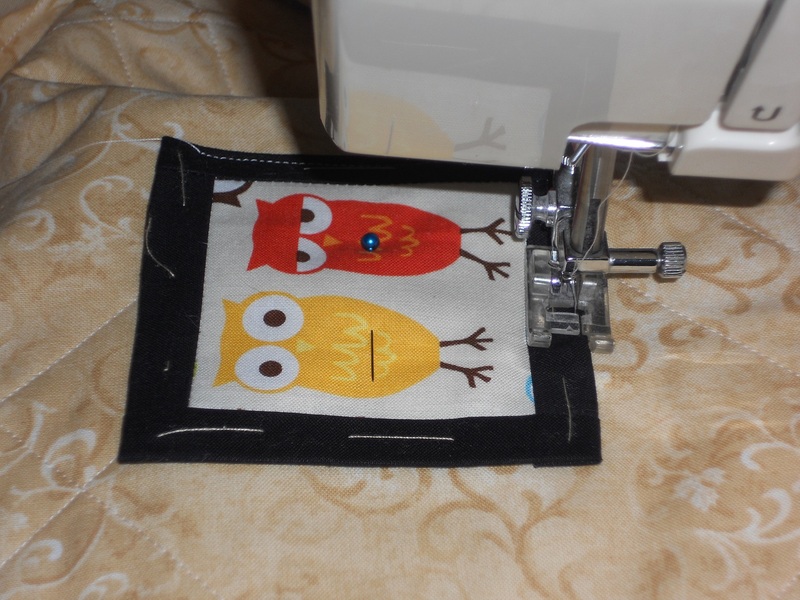 And yes, lots of them will have their heads or butts cut off once it’s double-folded and sewn down to the edges of the quilt. But that’s okay. I think it’ll still be cute, and add some interest. 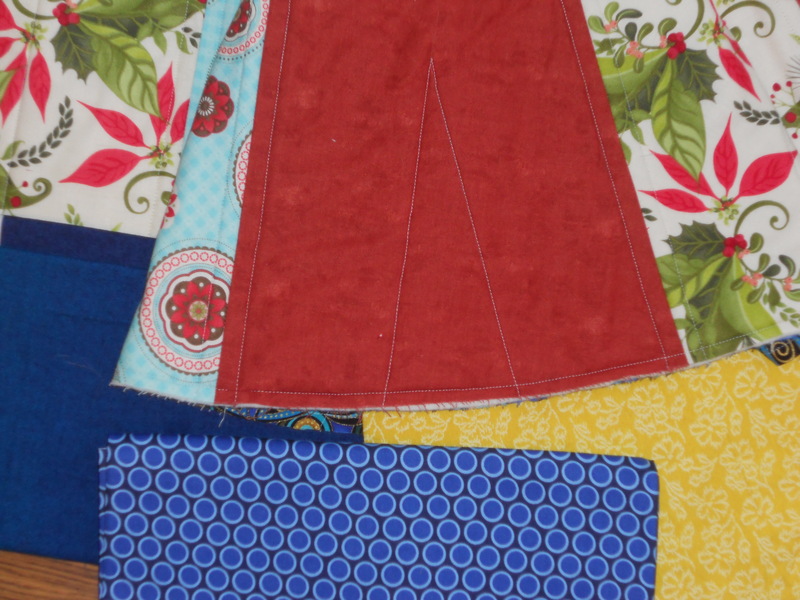 In the past I’ve also pillowcase-turned quilts instead of binding them and even fringe-cut one. So really, it’s up to you to decide on the look you’re going for. Don’t be afraid to audition new fabrics and techniques. If you don’t like it, there’s always your handy-dandy seam ripper. Did you know I do custom orders? 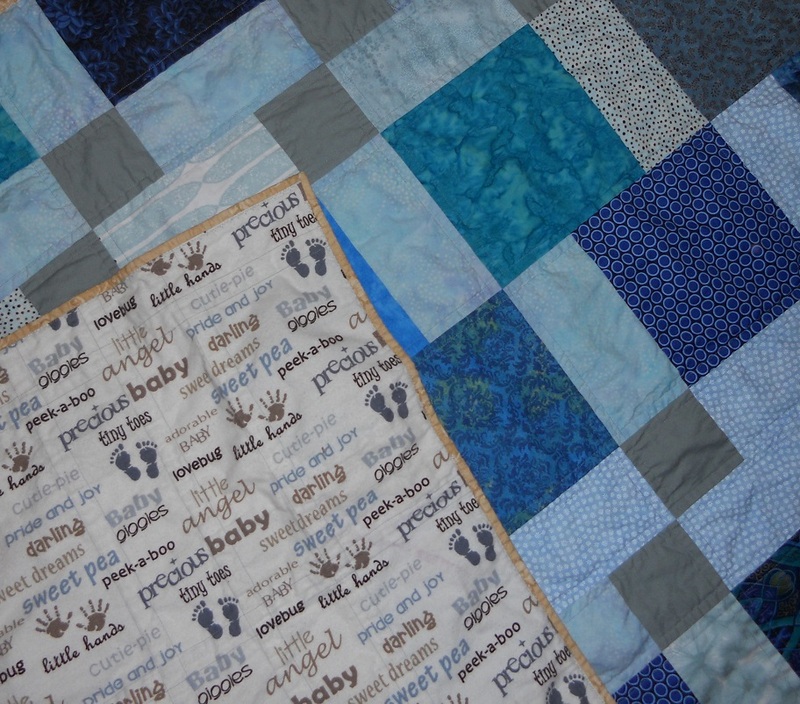 This baby quilt is an example of a custom quilt that will be given as a gift. Actually, most of my work is custom…. whether it’s for myself, as a gift, or for paying customers. Interested? Contact me and we’ll talk about it. This entry was posted in Artist's Studio, Binding, Tips and tagged baby, binding, boring, choosing colors, choosing fabrics, custom, Family, monkeys, pink, plan the project, quilt, QUILTArtbymegan, quilting, quilts, sew, sister on October 19, 2013 by quiltartbymegan.